Follow the latest Brexit news, videos, and analysis from ABC News. Protests break out on the day Britain was supposed to leave the European Union. May asked lawmakers to "back the deal so we can complete our historic duty." 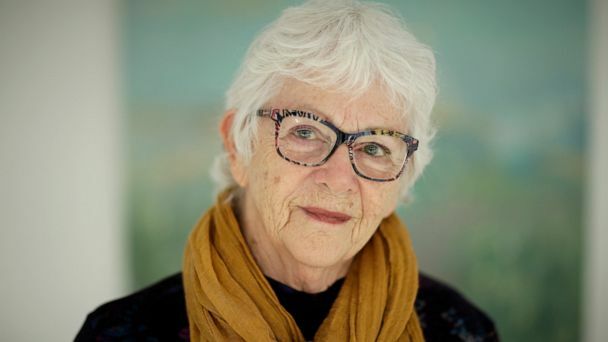 "I ask everyone in this room to back the deal so we can complete our historic duty," she said. 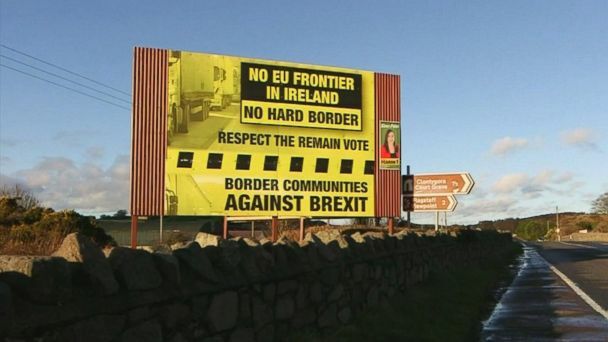 David Wright takes an in-depth look at Brexit's border problem. Brexit crisis: What’s next after Theresa May's deal voted down yet again? Prime Minister Theresa May remains in power, but the path to Brexit is still unclear after her plan got voted down again. Theresa May's government lost a crucial vote again on a flagship Brexit deal. 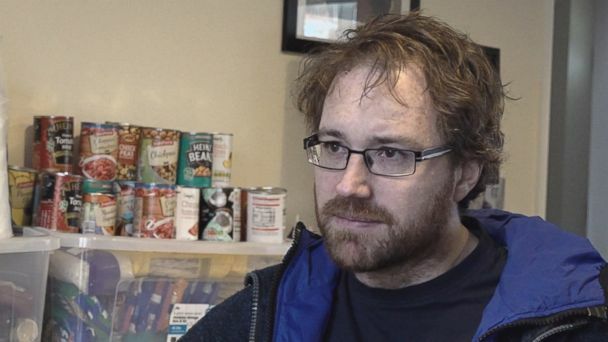 Graham Hughes, a travel writer based in northeast England, began stockpiling last summer as politicians seemed further and further from finding a solution to the Brexit problem. 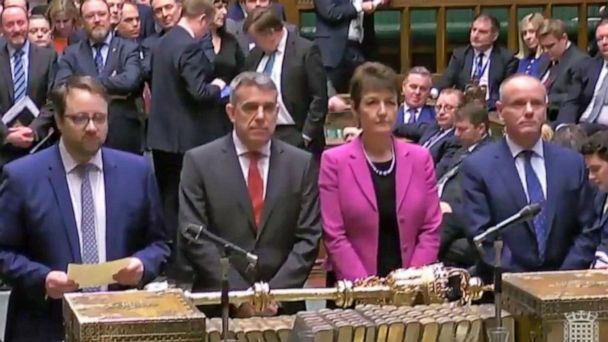 Parliament debates proposed changes to Prime Minister Theresa May's new Brexit deal. John Bercow, the speaker of the House of Commons, is a controversial figure. He may be known for his witty put-downs, but Bercow is a controversial figure. 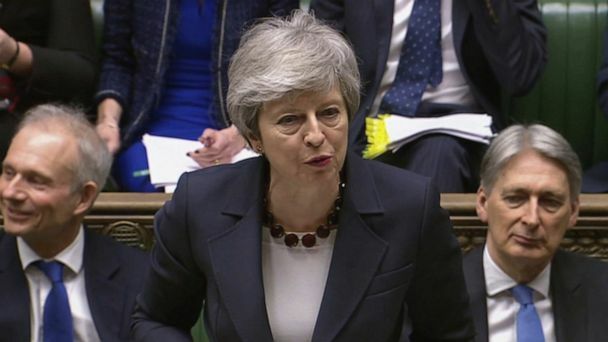 British Prime Minister Theresa May has narrowly survived a no-confidence vote just one day after suffering a historic defeat in Parliament over her Brexit deal. The vote was scheduled by the leader of the opposition Labour Party, Jeremy Corbyn, on Tuesday evening. If she had lost the vote the prime minister would have been forced to resign, which would trigger an election. 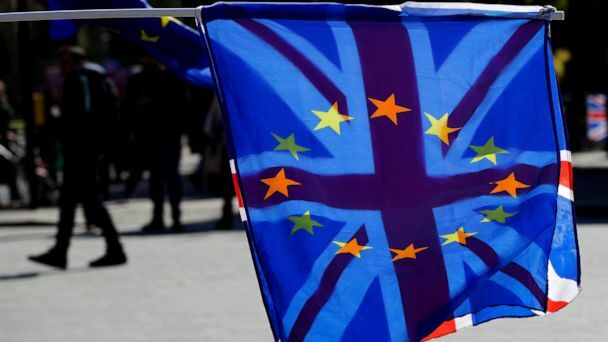 The United Kingdom could leave the European Union on March 29 with no deal. Prime Minister Theresa May faces no-confidence vote after Brexit plan defeat. 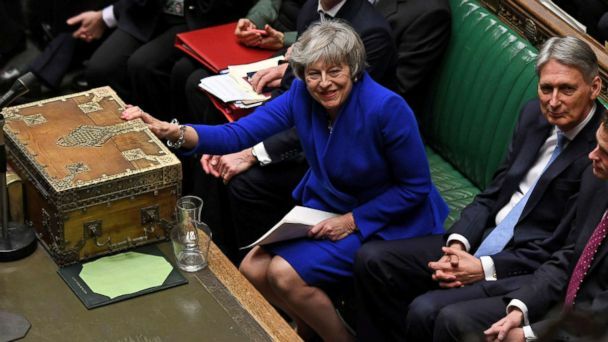 Britain's Parliament voted overwhelmingly against May's plan to withdraw from the European Union, leading to confusion about what will happen next with Brexit. British lawmakers overwhelmingly rejected Prime Minister Theresa May's divorce deal with the European Union. Theresa May lost the vote by 230 votes. Theresa May has issued a rallying call to MPs and the British public. Many fear the U.K.'s exit from the EU without a deal would severely harm Britain's economy. ABC News' Julia MacFarlane reports. What you need to know about Brexit. She is going to Brussels on Thursday to win concessions from European leaders. Leaders of all 27 EU states are in attendance, and May will have an opportunity to raise issues with the Brexit deal and appeal for help. British Prime Minister Theresa May survived a vote of no-confidence amid talks to leave the European Union. ABC News' Molly Hunter reports. May has 107 days to finalize a Brexit deal that the rest of Europe will approve and the British people will like. May's fellow conservative members of Parliament voted in favor of her leadership by a margin of 200-117. UK Prime Minister Theresa May faces vote of 'no confidence' over handling of Brexit vote. The results of the vote will be announced at 9 p.m. Anything more than 50 percent -- 158 votes -- will force May out of office. 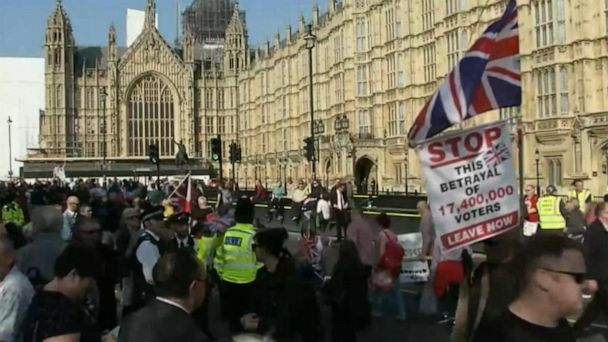 Protesters gather outside of Parliament while May turns to other European leaders. The delay announcement has sparked anger across the political spectrum. 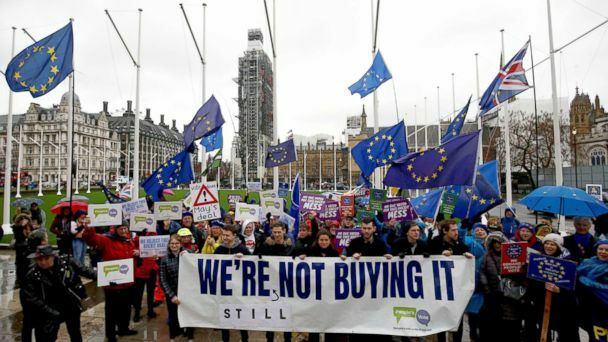 May delayed Tuesday's vote on the Brexit deal, which faced fierce opposition, leaving its future up in the air. Theresa May's fighting for her political life "with every fiber of [her] being." May is facing an uphill climb in getting the UK government on board with a plan. Theresa May delivered an ultimatum to the EU. "[Jeremy Corbyn] is just plain wrong on his interpretation of what's happening," Theresa May said. Terry Moran explains how the U.K. would leave the 28-member bloc. ABC News' Amna Nawaz, Molly Hunter and Terry Moran discuss what's next for the U.K. after Prime Minister Theresa May formally began the process of the country's departure from the European Union. 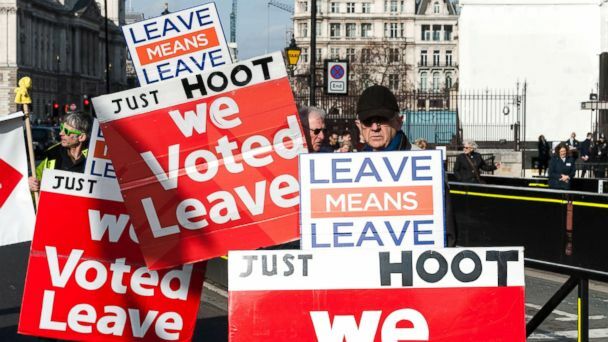 UK formally triggers Brexit process: What's next? Everything you need to know about Article 50 and what happens next. An expert called the situation "a disaster for the U.K. and the world."